In Canada, this past weekend was a long weekend. I did my best to shut off the TeacherBrain and enjoy it. Of course, I still checked my Twitter feed, which gave me some inspiration for this week’s post. Though this long weekend in May signals that there is a rapidly approaching end of the year, Twitter reminded me that for many of my tweeps, the year was wrapping up. Knowing I had a post to write, and a few weeks left to plan, I got reflective while I mowed the lawn. As luck would have it, I was listening to my iPod while I mowed, and remembered a piece that I had earmarked for possible use somewhere along the line. Dan Ozzi, who writes for Noisey, the music section of Vice wrote an open letter to the person who stole his iPod. In this open letter, he explains what the thief will find on the device, warts and all. (I’m especially excited by his work, as he is collaborating with one of my rock and roll heroes, Laura Jane Grace, of Against Me!, on her upcoming memoir!) This piece was the first thing of his that I read, and I laughed out loud at it. Alone in my classroom. There were tears of laughter. Initially, my thought was that I could use this as a mentor text for writing about music. or related to humour. In the midst of mowing, however, I realized that there was another awesome purpose for this mentor text. Reflective Writing– Like many teachers of writing, I have my students work in notebooks. I’m a pretty analog guy, and the notebook is part of my own process as a teacher, writer and creative person. However, I feel like I absolutely stink at having my students reflect on the notebook itself. We pull pieces out, refine and publish them, but otherwise, the notebook doesn’t get celebrated at the end of the semester like it should. I have tried something called the Notebook Defense, a portfolio and reflection piece, having student choose gems and duds, reflect on them, and the notebook in general. In some ways though, I feel like I lost enthusiasm for it when I saw the clunky, generic pieces I received. Ozzi’s piece, however, could turn that on its head. It starts with a great introduction, highlighting the fact that his iPod has been stolen. This is followed a number of brief explanations for a few things that are on the iPod. 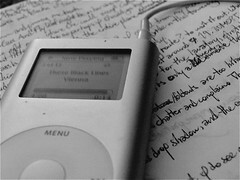 The rest of the piece has a number of “quick hits,” one or two sentence explanations of other things on the iPod. I think this would be a great model for having students work through their notebooks at the end of a course. They would introduce the notebook, and give a brief overview of it, perhaps setting up what’s in it. They could follow Ozzi’s lead and use humour. Some writers may want to brag, legitimately or facetiously, about what they’ve written. Others may want to take a self-deprecating approach. Even adding humour to the fact that they’ve written in a notebook over a course, probably doing a bunch of random things we’ve asked them to do will give them a chance to do a different kind of introduction – while, of course, giving us something different to read. Then, they could move through key pieces. Ozzi’s text has some great models for that: pieces that have a story attached, pieces that they’re proud of, pieces that they’re embarrassed by. Having to address a handful of these pieces, in a paragraph or so each, using humour, may actually encourage a different kind of reflection. This mentor text could help us break our writers out of the, “I chose this piece because…” loop. Why do you have a 30-minute recording of you interviewing the rapper Coolio? Because it was the most amazing experience of my life and I put it on whenever I need to amp myself up for something. Why don’t you have any Smiths songs? This mentor text gives them permission to briefly say that a piece was awesome, or that it sucked. My previous model for this would have forced them to churn out a paragraph I wasn’t that psyched to read for either of those extremes. Perhaps now, this will encourage them to use that paragraph on pieces that engaged them, and I’ll get more interesting paragraphs to read. Humour — I laughed out loud when I read this the first time. I laughed again when I read it tonight. Ozzi’s tone is just so frank, honest and self-deprecating that it’s a riot. He levels criticism at himself, but does so in such a way that we feel for him. Well, as a music fan, it’s because many of those same things happen to me. There are funny stories in his reflection, and I don’t know about your classroom, but there likely would be in mine. I know that I have a couple of classes right now that would have some great parting shots over a couple of the things that we’ve done this year. Back to the criticism though, Ozzi explains himself well. Many of the things that we do in our notebooks are done in the moment. Looking back at them this way, maybe even looking for the self-deprecating humour would allow us to reflect critically on the writing process. What worked, and what didn’t? What can we laugh about now? What have we learned from it? What do we wish we could “delete,” and as a result, likely won’t do again as a writer? Writing about music — Obviously, this was where I had originally filed this mentor text. Right away, I thought about some of the stuff on my iPod that I’d have to explain or justify. There is stuff on there that I’m not proud of, and there’s stuff on there that triggers stories. As a music fan, I usually try to roll something like that into my courses. At Grade 12, we often do a personal playlist piece. Ozzi’s piece seems like a natural fit for that. I notice how often, when music is on, how students will tell the stories about the songs, and reminisce. This mentor text might help them get that on paper. My favorite aspect of this, however, relates to the stuff on his iPod that is embarrassing. I know if I’m on shuffle as we work, I’m going have to explain the instances of High School Musical, or “Snoopy’s Christmas” by The Royal Guardsman. Let’s be honest, you’d probably rather hear those stories than why I love “Photosynthesis” by Frank Turner. Since my iTunes arbitrarily reset everything, my most played song tops out at a whopping 14 plays, which is wildly inaccurate. I know for a fact that my daughters demanded that we listen to “Cat Party” by Koo Koo Kangaroo 18 times in a row on one drive, which will have to do I guess. Within this post lies the beauty of the mentor text – the unexpected versatility of a single text. I originally filed this piece for one purpose. However, when I was thinking about something completely different, it returned to the forefront. 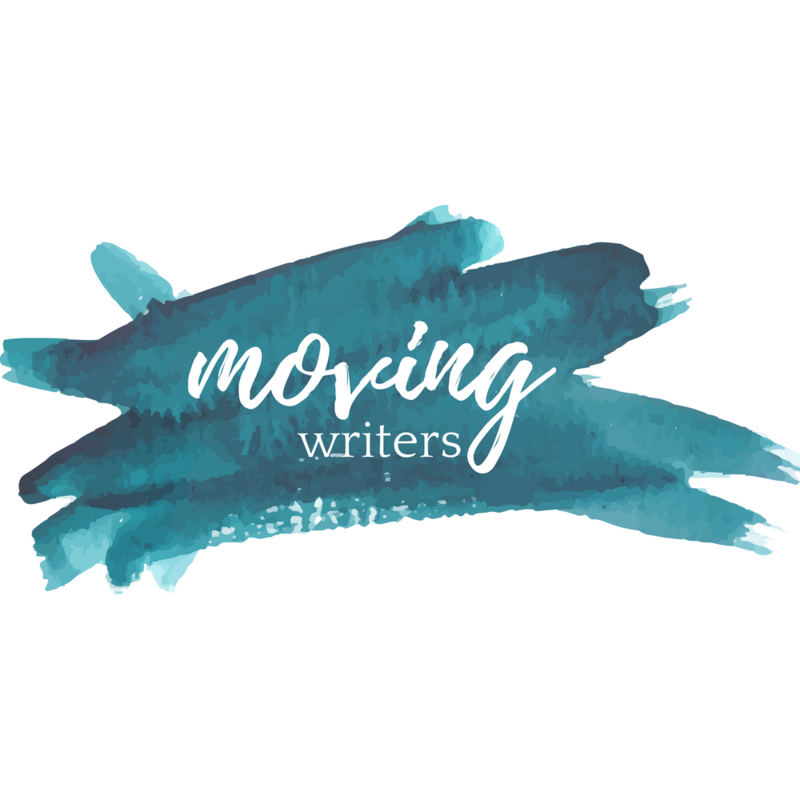 In all honesty, I feel like the secondary purpose I found for this piece – reflective writing about our writers’ notebooks – is actually a much better use of its mentor text potential than my original plan. How do you get students to reflect on their writing at the end of the course? How do you push your writers past the generic reflection we so often get from them? Do you have a mentor text that wound up having a better use than the one you originally intended? Did you just try to figure out your most played song? Awesome stuff, Jay. ALWAYS on the hunt for mentor texts for authentic, compelling, not-boring-to-write-or-read reflective writing. This laugh-out-loud piece is going in the Dropbox! This has my wheels turning. I am working on having technical students develop portfolios of their work. My hope is to have these open-ended, with the focus being on the contents and not the format (notebooks, e-portfolio, images…etc). But I have been wrestling with how to approach the final reflective component, where the student takes a critical look at their progress over the course.